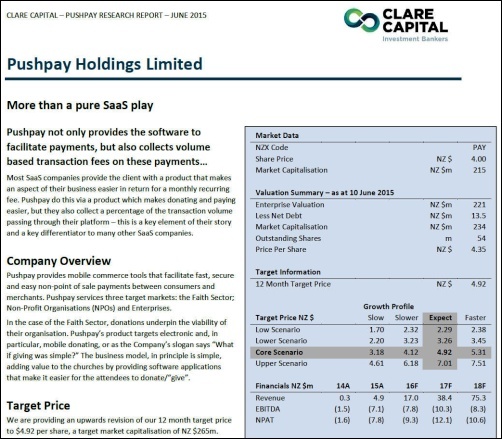 Clare Capital is providing an upwards revision of its 12 month target price for Pushpay to $4.92 per share, almost 25% above the current price of $4.00. Along with a calibration of financial performance to date, this upwards revision is based on the inclusion of volume based transaction fees. Pushpay provides mobile commerce tools facilitating fast, secure and easy non-point of sale payments between consumers and merchants. 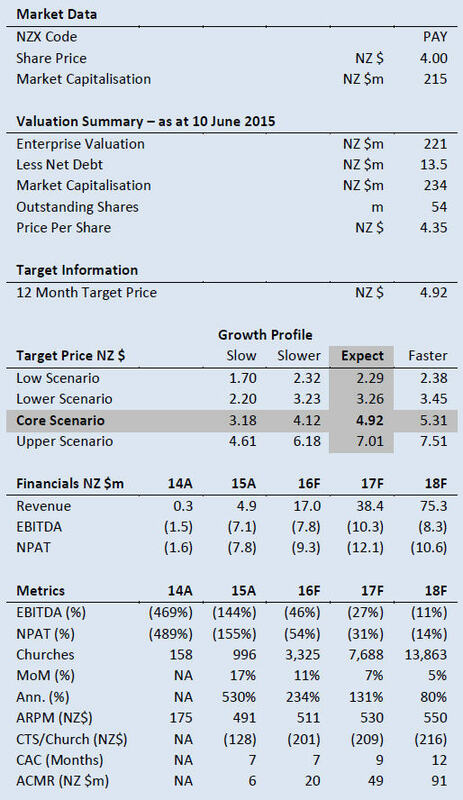 Pushpay services three target markets: the Faith Sector; Non-Profit Organisations (NPOs) and Enterprises. In the case of the Faith Sector, donations underpin the viability of their organisation. Pushpay’s product targets electronic and, in particular, mobile donating, or as the Company’s slogan says “What if giving was simple?” The business model, in principle is simple, adding value to the churches by providing software applications that make it easier for the attendees to donate/“give”.